Contrary to what you might believe, being a dapper dude doesn't require that much effort. 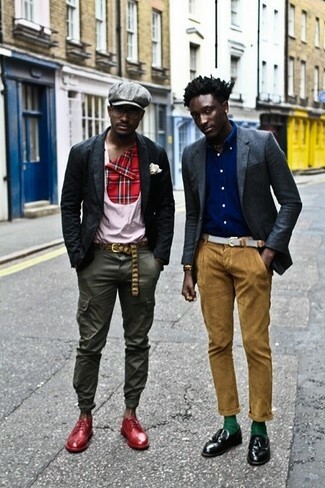 Just try pairing a Topman skinny fit marl jersey blazer with khaki chinos and you'll look incredibly stylish. When it comes to footwear, this getup is finished off wonderfully with black leather loafers. For a casually elegant ensemble, consider wearing a Topman grey blazer and red jeans — these pieces go really nice together. Contrary to what you might believe, looking stylish doesn't require that much effort. Just consider wearing a Topman grey blazer and charcoal chinos and you'll look incredibly stylish. When it comes to shoes, this ensemble is complemented wonderfully with grey leather brogues. 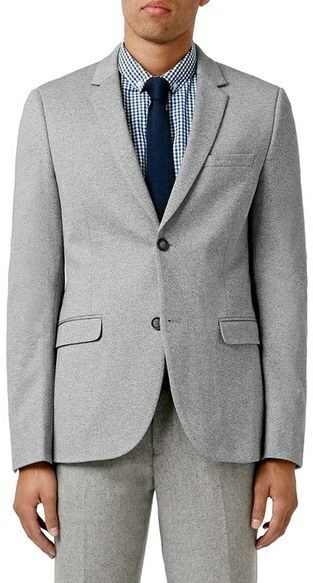 If you're in search of a casual yet seriously stylish ensemble, pair a Topman grey blazer with navy sweatpants. 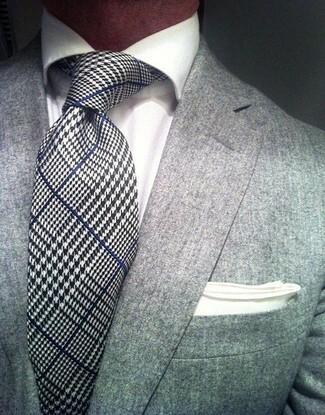 Both garments are super comfy and will look great when paired together. When it comes to shoes, this outfit is round off nicely with black leather low top sneakers. 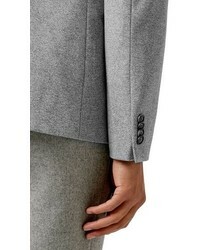 If you're on the hunt for a casual yet stylish ensemble, wear a grey blazer and black and white geometric shorts. Both items are very comfy and they also look amazing when worn together. So as you can see, getuping dapper doesn't require that much effort. Just pair a Topman skinny fit marl jersey blazer with orange shorts and you'll look awesome. To add elegance to your look, complete with grey leather oxford shoes. 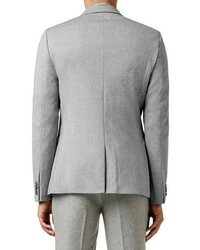 A Topman Skinny Fit Marl Jersey Blazer from Nordstrom and black dress pants is a greatcombo for you to try. You could perhaps get a little creative in the footwear department and dress up your look with brown leather oxford shoes. For a casually elegant ensemble, reach for a Topman grey blazer and charcoal jeans — these two pieces the office beautifully together. When it comes to shoes, this ensemble pairs nicely with burgundy leather loafers. 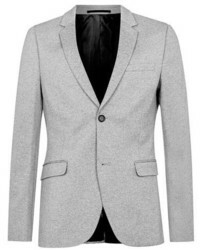 Pair a Topman grey blazer with a white dress shirt for a sharp, fashionable look.